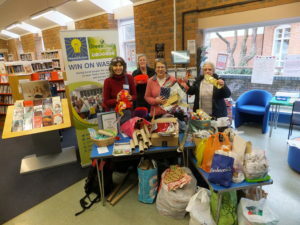 Wimborne Win on Waste sessions take place in Wimborne Library on the first Saturday of the month between 10.30am and 12 noon. Monique, Sue, Linda and Sarah help out on 6 January. 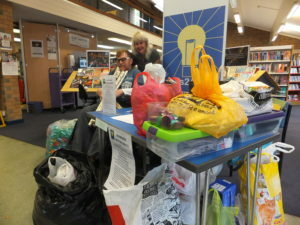 Simon and Emma, two of our Ambassadors helping to run the session in Wimborne Library on 14 October.